The Bank of England’s chief economist has warned of the huge ramifications that the fourth industrial revolution will have on people’s lives and society as the “dark side” of technological revolution rears its head. The forecast for the future is in and, in typical British fashion, it looks like it’s going to be cloudy. 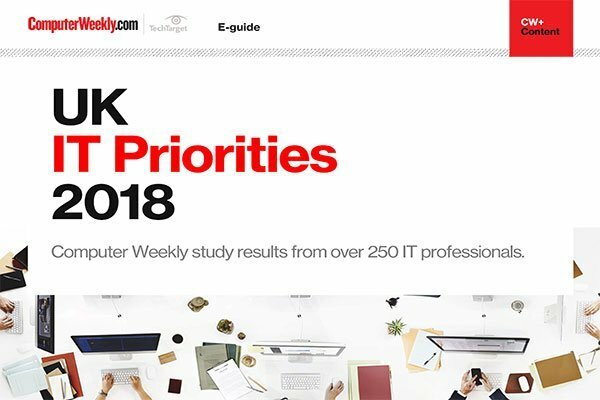 Our IT Priorities survey has revealed that organisations are planning on making the most of the cloud in the future. Download our IT Priorities results for more insights into where the IT industry is going. Speaking to the BBC, Andy Haldane said artificial intelligence (AI), for example, would make many jobs obsolete, and the disruption caused could be much greater than that caused by the industrial revolution of Victorian times. Haldane told the BBC Today Programme that industrial revolutions in the past had cause struggles in society. “Jobs were effectively taken by machines of various types – there was a hollowing out of the jobs market, and that left a lot of people, for a lengthy period, out of work and struggling to make a living,” he said. While it was manual jobs that disappeared in the past, today it is white collar jobs that are under attack. For example, a report from financial services management consultancy Opimas revealed that 230,000 jobs in the capital markets sector globally would be defunct by 2021 because of the adoption of AI technology. “This is the dark side of technological revolutions, and that dark side has always been there,” said Haldane. He said people need to be trained to be able to do the new jobs that will be created as a result of the fourth industrial revolution. This is particularly important as the welfare state shrinks. AI chatbots may take over a variety of traditionally human-based tasks. What does that mean for human workers? Tabitha Goldstaub, chair of the newly formed Artificial Intelligence Council, told the Today Programme that things were happening quicker than ever before. “The challenge we have now is ensuring our workforce is ready for that change. What are the new jobs that will be created, whether those are in building new technology, maintaining the new technology or collaborating with the new technology? Speaking to Computer Weekly in April 2017, at an event discussing the future of work, author Douglas Coupland said his fear was that there is “too much, too quick”. Coupland is the author of the novel Generation X: Tales for an accelerated culture, which tells the stories of a group of people in the generation born between the early 1960s and early 1980s – known as Generation X. “People always say, ‘Don’t worry, we will invent new job categories’, and I think in the past this has been more or less the case, but we are dealing with algorithmic technologies which have no historical or ontological precedence. He said he hoped governments have a plan B. That is something that business leaders, politicians, academics and non-government organisations discussed at the World Economic Forum in Davos last year. At the event in January 2017 there were warnings that the failure to keep pace with technology change would be a key global risk. A report published in advance of the summit revealed that the expansion of AI is likely to destroy traditional white-collar jobs at a faster rate than new jobs are created, unless governments and the private sector collaborate to manage the problem.